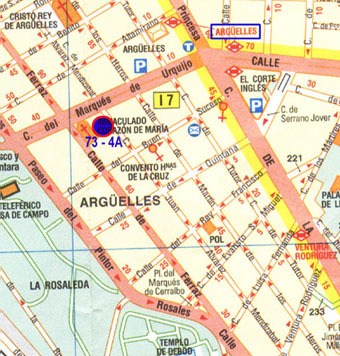 Calle Juan Alvarez Mendizabal number 73. On the 4th floor I was living. 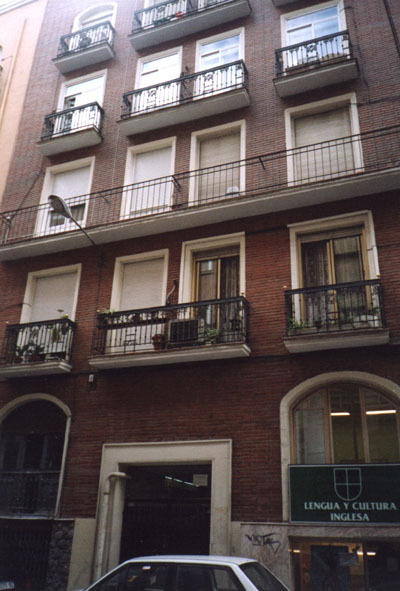 A nice house even with an elevator in the district of Argüelles, a residential area, but still in the center of Madrid. 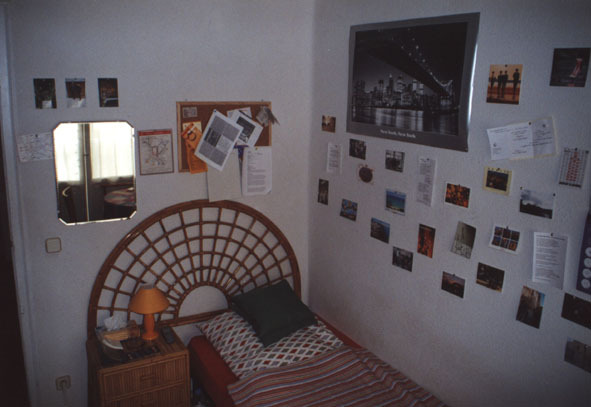 At the beginning I was living with three girls (two Germans, one Norwegian), then with three guys (one French, one English, one German). 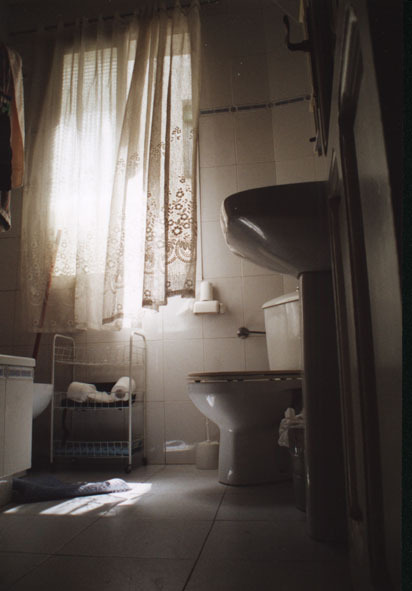 Here a little journey through my flat. 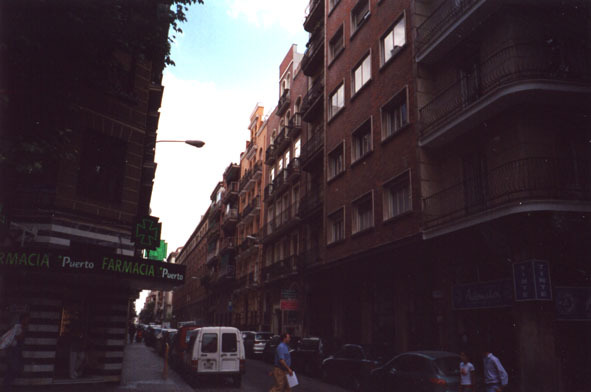 Number 73 is the house right in the middle of the photo, with the red and green sign in front of it (not the farmacia!). 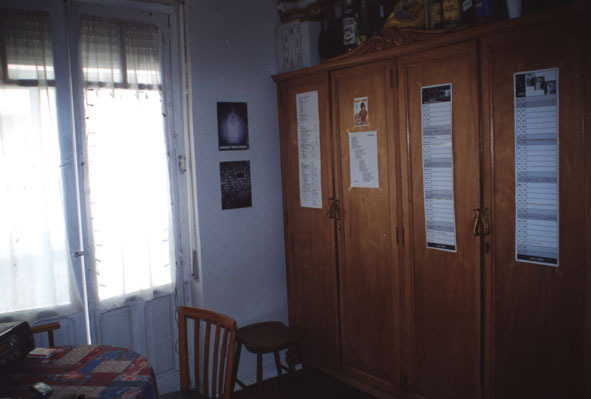 We had everything we needed in front of our house: a pharmacy, a dry-cleaners and a supermarket. This is the fassade of the house. The balcony with the slight open door was mine (third balcony counted from the ground, on the left). 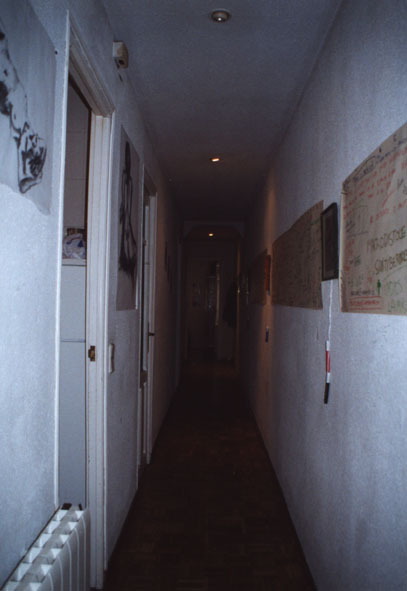 The hallway, seen from where you enter the flat. 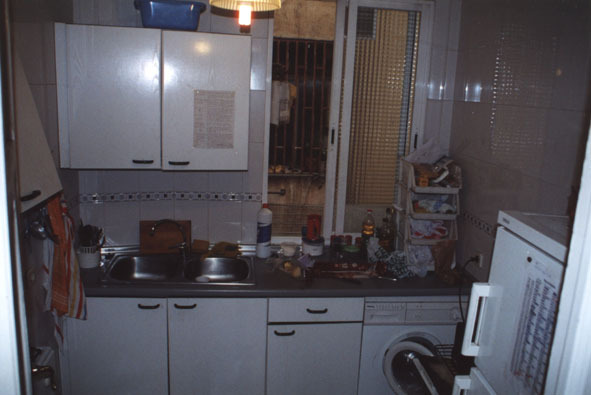 The first door on the left is the kitchen, the second the room of Alex, my English flatmate. 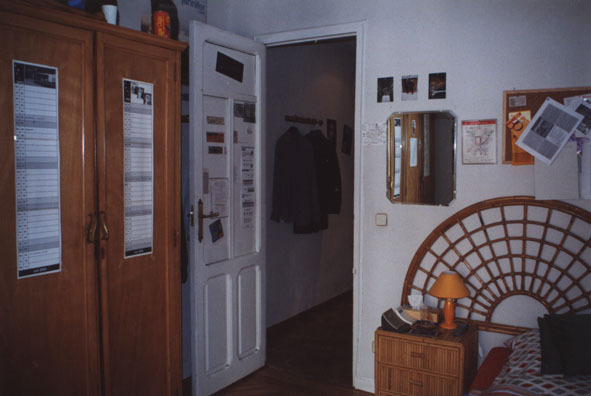 At the end of the hallway there's my room. 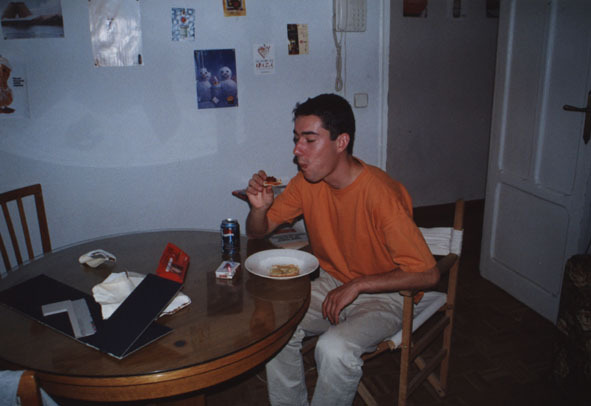 My flatmate Francois eating in the living room (probably his creation of a tortilla española). 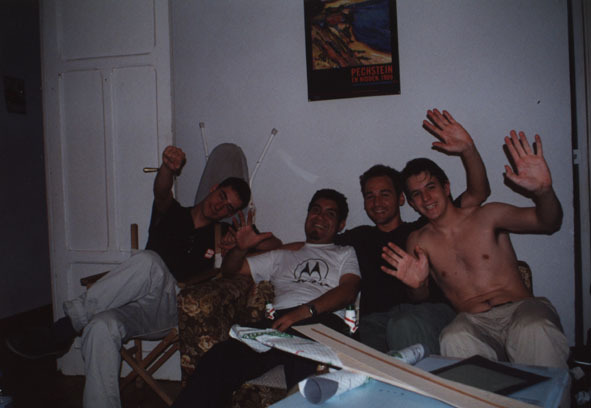 Photo with Francois, Polo, Lars and Phillip (how do you spell his name?). Lars' room with Lars inside packing his suitcase to leave to Germany the next day. 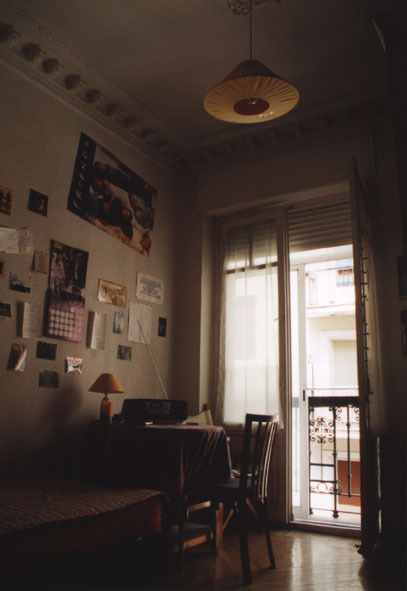 Guess what - my room! Soon I'll make a 360 degree photo-montage. Probably.